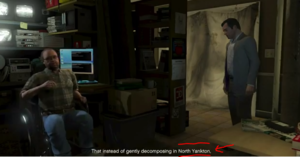 This GTA Wiki is a site all about Grand Theft Auto that anybody can edit! Login and begin editing pages - don't be shy. As our purpose is to provide complete detailed information, some pages may contain spoilers. The Ambulance hasn't evolved much during the Grand Theft Auto series. It has appeared in every GTA game except Grand Theft Auto 2, where a paramedic car is featured instead, called the Medicar. You can be sure to find an ambulance at the nearest hospital. If multiple people are killed an ambulance will arrive and two paramedics will get out and attempt to revive the wounded. Typically if paramedics are killed it creates more police attention than other civilians. Paramedic missions can be toggled on or off when in the ambulance in all GTA III-era games. These require the player to find, pick up and deliver patients to the hospital within a time limit. With every level comes another patient to deliver, increasing the difficulty. Usually when the player beats level 12 the mission is complete (but can be carried on and replayed later) and a reward is achieved, e.g. infinite sprint or extra health. If the ambulance is left during the mission the player has failed and must restart from level one, similarly if they kill the patient or run out of time. Three patients can be carried in an ambulance at any one time. This page was last modified on 25 April 2012, at 22:49.